In this morning's emailicans were a bunch of historic scans from Middlespace Cadet in good standing, Helen of Oregon. 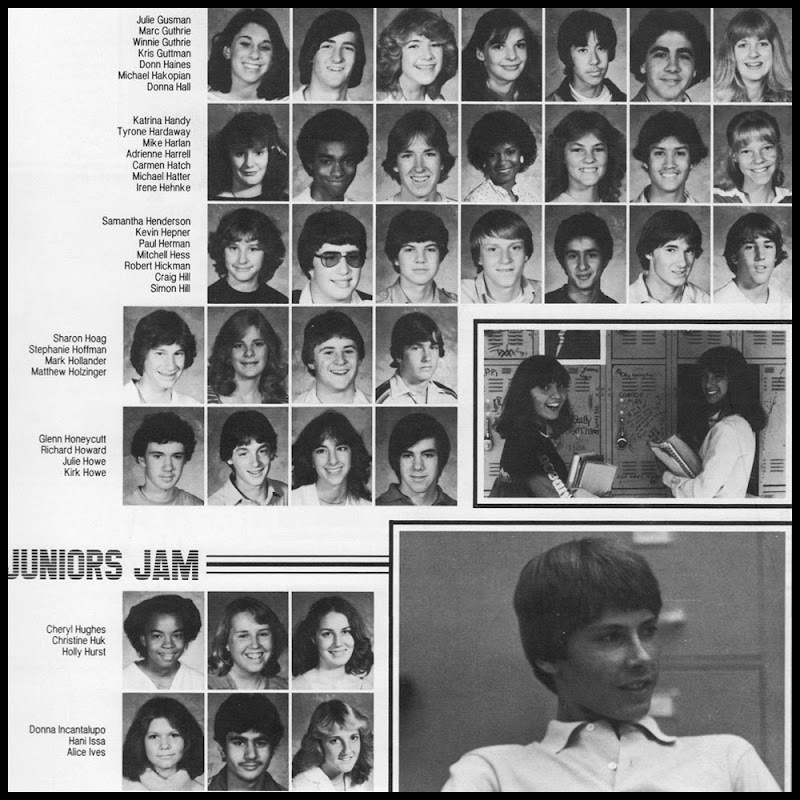 Eighth through 12th-grade portraits, band pictures and other pages from our yearbooks and such. 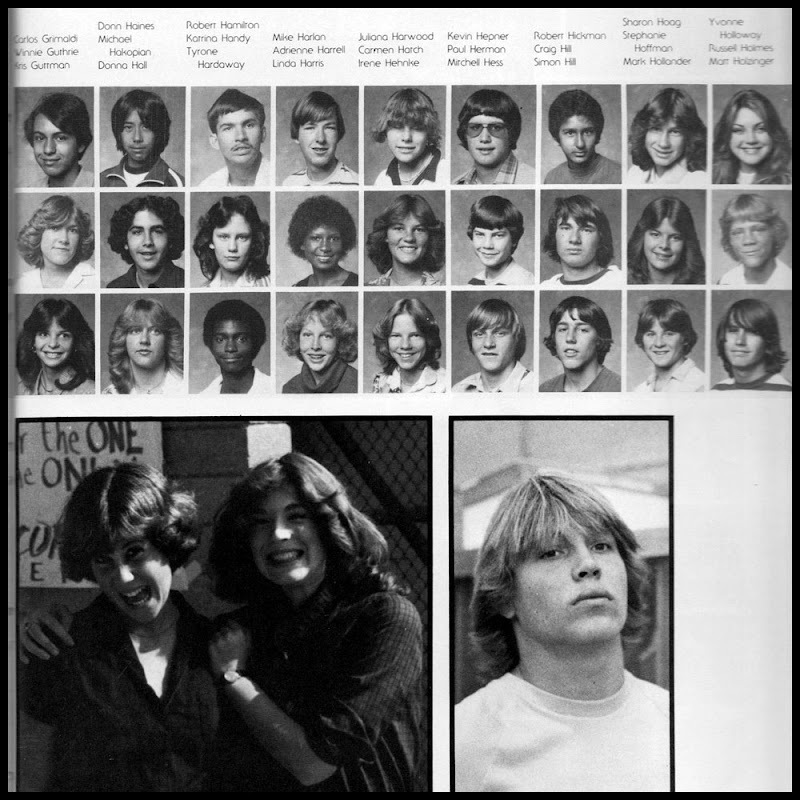 You know, the yearbooks I either never owned because I was poor or lost years and years ago because I was escaping poverty so quickly that pages were flying behind me all cartoon-style. 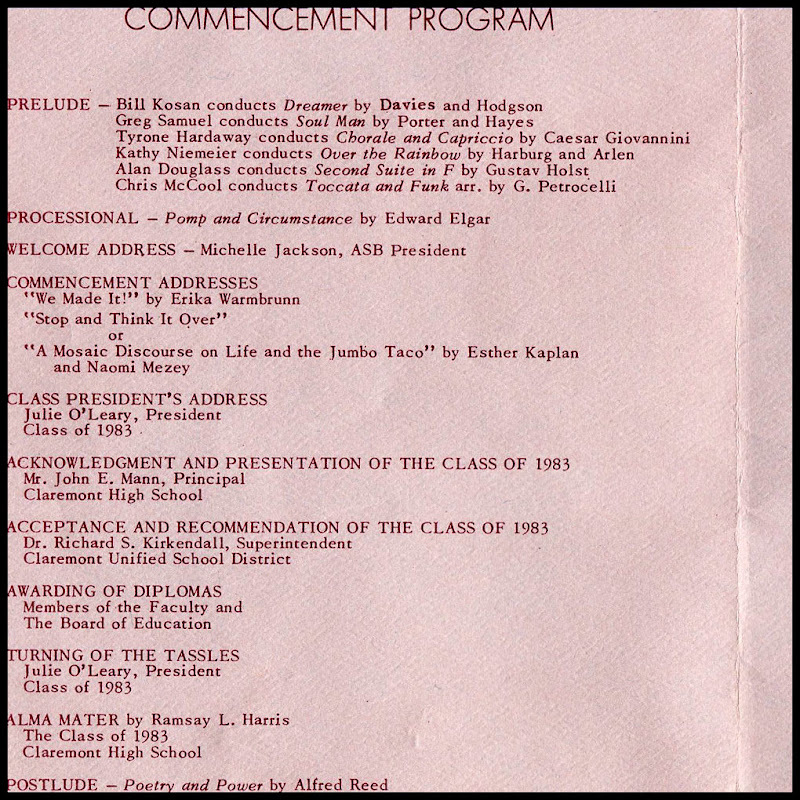 Some of the pages, interestingly, were from our commencement program. 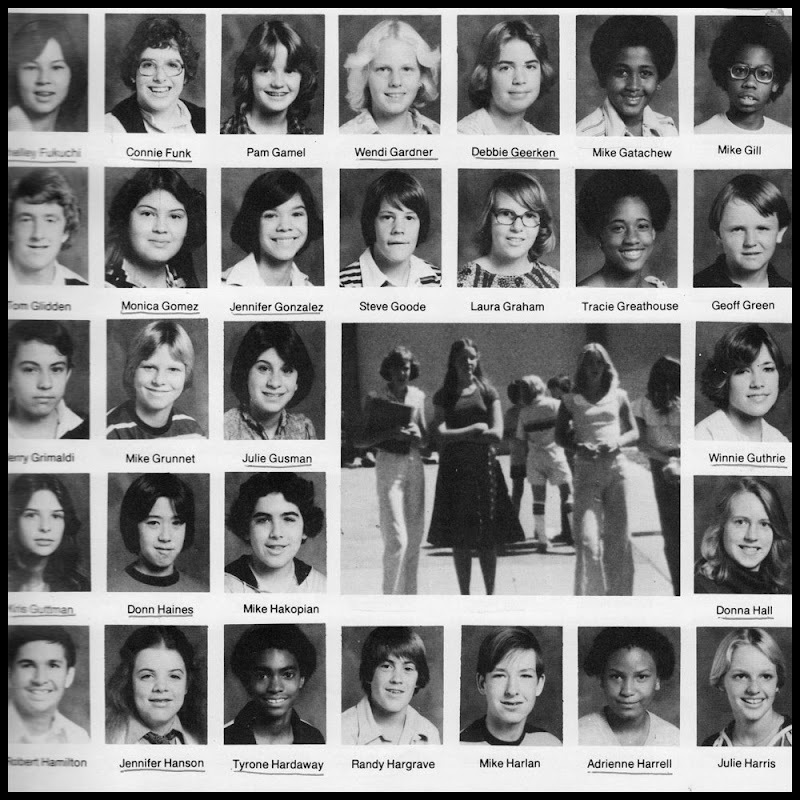 While I didn't have any special denotations by my name for honor roll or "CSF Life Member" (that would be your California Scholarship Federation), I was the guy who conducted Giovannini. See? Remember I didn't know I was RealSmart until I was hypermiling it at the University of California. Okay, I've always known I was smart, but competitively academically smart? I had to grow into those shoes. Now I'm snobby as hell. 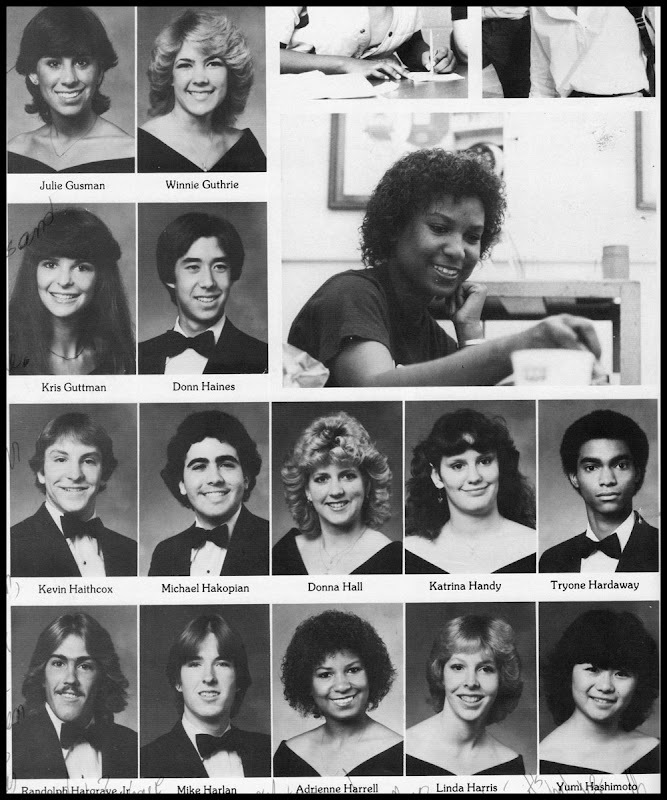 Of course the photographs above are of people who are now surgeons, business successes, professors, and leaders of people throughout the world. 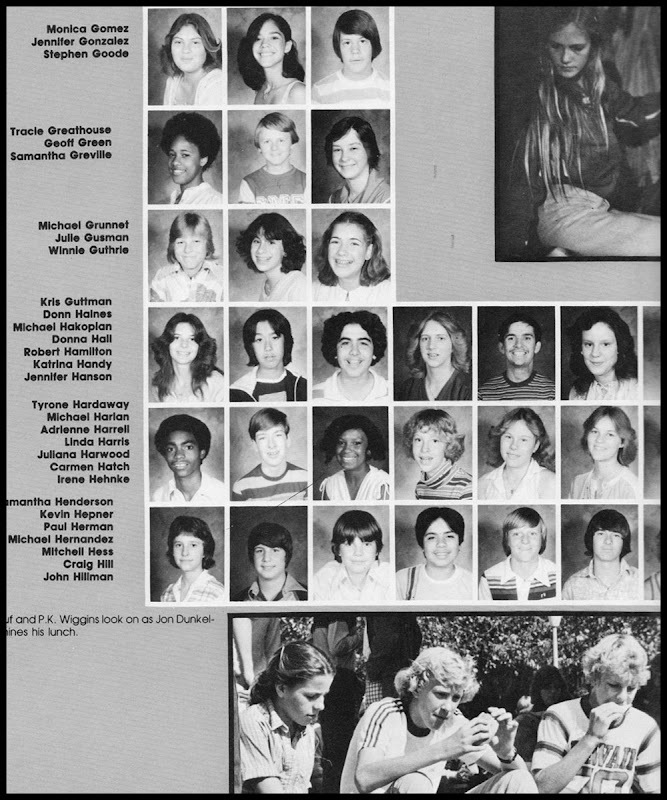 This is the Claremont graduating class of 1983, people! And then there's me. All I do is drink coffee and listen to Fiery Furnaces all day.